Product integration is a task on its own. The image of a finished product is part of its assets and thus of its commercial success. 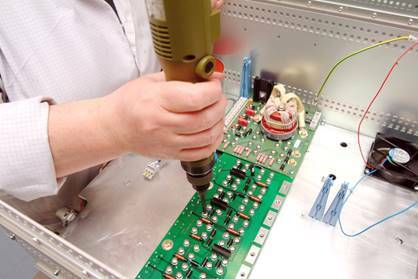 Whether it be an assembly or a pneumatic, electronic, electric, mechanic or hydraulic cabling, our qualified technicians will create a project, parts, or subparts in small or medium serial size. They will also share their experience, acquired for many years to help your products and manufacturing files evolve. The quality as well as the rigor that are vital during assembly are an integral part of our services. Our objective is to offer you an optimal cost of manufacturing as well as a gain in productivity.